Killer whales, orcas, SRKWs, blackfish, they’re iconic by any name. This is one way we can help support their recovery. Every spring, a distinct population of orcas known as the Southern Resident Killer Whales (SRKW) waits at the mouth of the Columbia River like students in a cafeteria line. On the menu: 30+lb spring chinook salmon, the largest and fattiest of the six salmon species found off the Puget Sound. The Center for Whale Research estimates that the average SRKW consumes between 18-25 salmon per day. With only about 80 members of this population left, that’s 1,500-2,000 salmon every day! Chinook are their favorite by far, making up as much as 80% of these whales’ diets, though they also enjoy a sampling of coho, chum, and steelhead. Anadromous fish have a complex life-cycle, one that begins in freshwater streams, segues into the ocean, and ends in the same stream of the salmon’s birth, where the ones who don’t end up an orca’s lunch return to spawn and die. They are a remarkable, resilient keystone species but they are vulnerable at every stage of that life cycle. Rivers that historically produced millions of salmon now suffer from dams, lack of fish passage, overfishing, algal blooms, non-point source pollution, and the disconnection and development of floodplains. The oceans themselves are growing more acidic, impeding salmons’ ability to detect predators and survive to spawn the next generation. As salmonid populations dwindle, meals for the SRKW grow fewer and farther between. Luckily, efforts are underway to restore salmon populations and habitats, and to help them face the challenges of a changing climate. American Rivers is deeply involved in such work in the Pacific Northwest. Most of us probably don’t think of riverine floodplains as important habitat for healthy Killer Whales. In fact, many people probably don’t even think of floodplains as habitat at all! A ‘floodplain’ tends to take on an array of different definitions depending on who you’re talking to. A community land-planner might tell you about the 100-year floodplain, or an area with a 1% chance of flooding each year that’s risky to build on. A hydrologist would tell you that a river’s floodplain is the land that gets inundated by water during high flows, or floods. An ecologist might explain that a floodplain is a unique ecosystem in between water and land, with plants and wildlife adapted to seasonal floods. A floodplain is all of these things in reality, and plays a key role in how rivers function. Where floodplains are connected to a river they provide space to convey floodwaters, capture excess sediment and nutrients, and provide productive habitat for a diversity of fish and wildlife. In the Pacific Northwest native salmon populations spend the beginning and end stages of their life in rivers. 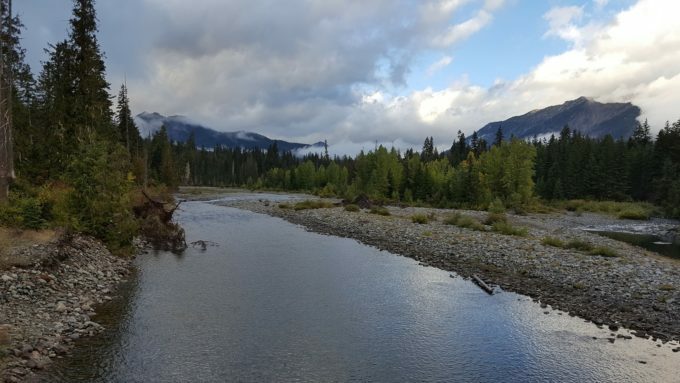 Floodplains play a critical role in the life history of many salmonid species including Chinook, Coho and Chum salmon, which use flooded lands and side-channels for spawning and rearing as juvenile fish. Today many species of salmon native to California, Oregon, and Washington are listed as threatened or endangered through the Endangered Species Act. Declines in these fish are primarily attributed to fragmentation of their freshwater habitats by the damming of rivers, and urbanization of floodplains and forests over the past century. As populations of salmonids have declined in river systems across the Puget Sound and Columbia River Basins, the SRKW that depend on those fish as food have also suffered. This is why connected, naturally functioning floodplains are important not just to healthy rivers, but also to the health of marine mammals, and entire coastal ecosystems! 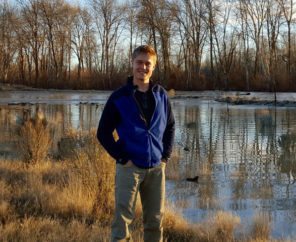 Luckily, Washington is a good place to work on floodplain reconnection and restoration. 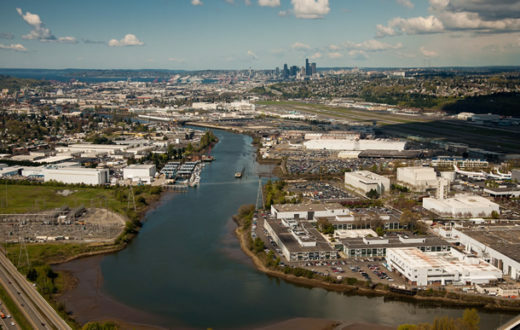 Communities in the Puget Sound region have realized the many benefits that come from having floodplains that act as, well, floodplains. 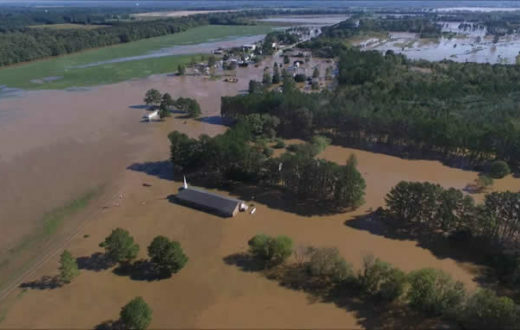 By moving old infrastructure such as levees, or repetitively damaged buildings farther back from waterways, floodplains can be opened up and reconnected to rivers. As a result, floods that occur can actually be lower, slower to occur, and cause less-costly damage to communities. As an added benefit, the newly restored floodplains can again be accessible to fish and wildlife such as endangered salmon. 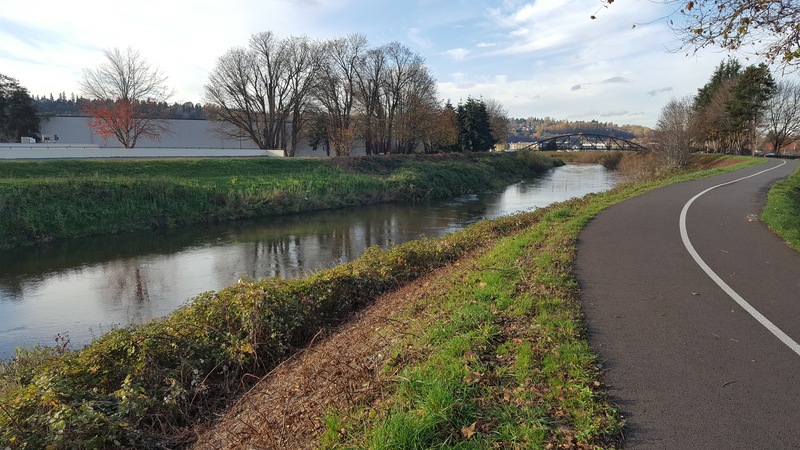 Communities in Pierce and King Counties are leading the way in this type of work, investing in their floodplains to reduce flood risk to people, and to improve the health of their rivers. There is still a lot of work to do, especially in urban areas where less open-space still remains for reconnecting floodplain lands. 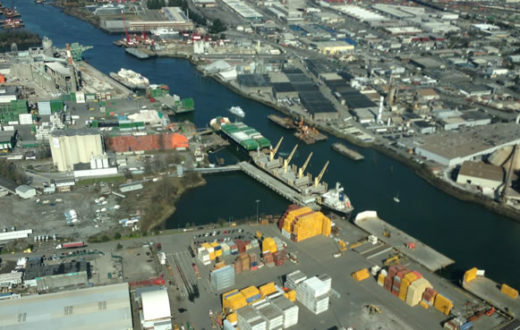 The Lower Green-Duwamish River is one example; flowing through the Cities of Kent, Tukwila, and industrial areas of Seattle, the Green-Duwamish is leveed and tightly controlled like a canal. 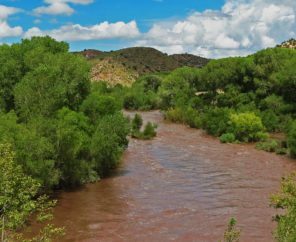 High levels of urban stormwater runoff, and a lack of shading from riparian vegetation create a waterway that is too polluted and too hot for many fish to thrive. Furthermore, there is a lack of complex instream and side-channel habitat that many fish need for spawning and resting. Addressing these threats through an improved Lower Green River Corridor Plan that considers both the need for flood safety and a functioning river ecosystem will be key to recovering fish populations and relieving pressure on SRKWs. That process is just beginning in the King County Flood Control District, and American Rivers will be engaged to help meet these needs. In headwater regions where rivers begin, such as the flanks of the Cascade Mountains, meadows and floodplains are important for storing snowmelt water throughout the spring and summer, sustaining groundwater levels and the base-flows of streams and rivers to keep them flowing and cool during even the hottest and driest months of the year. 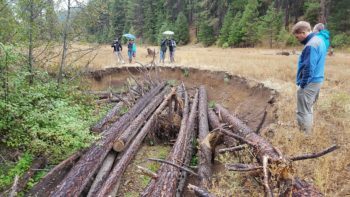 In some watersheds, intensive grazing and logging practices over the past two centuries has impaired the capacity of headwater streams and floodplains to store water and support complex habitat needed by fish and wildlife. Investing in these headwater areas can improve base-flows to meet ecological needs and improve those lands for recreational use by people. Benefits from these projects flow downstream all the way to the Puget Sound, as water supply improves and anadromous fish species recover, and SRKWs continue to have nice fatty fish to eat each year. 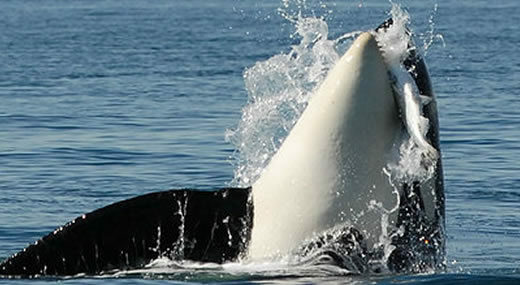 Killer whales, orcas, SRKWs, blackfish, they’re iconic by any name. So how can you help support their recovery? In Washington, the Recreation and Conservation office created a Salmon Recovery Funding Board to provide grants for salmon restoration, protection and assistance programs. 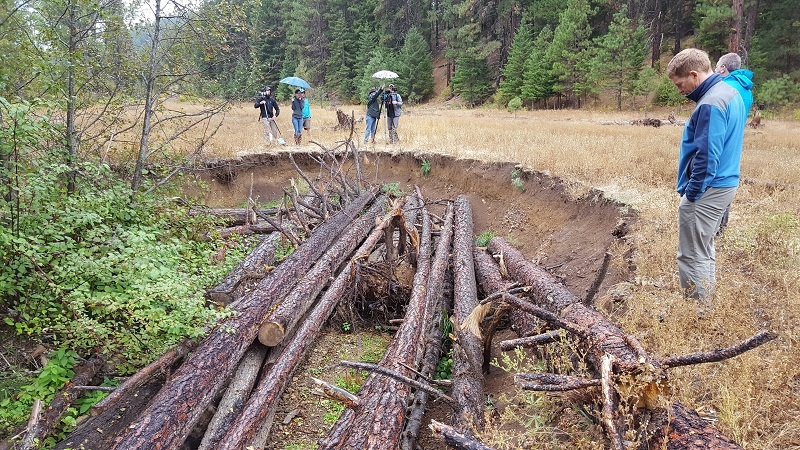 In Oregon, the Water Resources Department created a Plan for Salmon and Watersheds which combines voluntary restoration actions with state, federal and tribal projects, monitoring and scientific oversight. NOAA has also developed comprehensive recovery plans by region and species. And, of course, your local river or coastal groups are sure to have information available. Dam removals, culvert replacements and fish passage installation are all important tools in the work to boost salmon populations. The wildly successful Elwha Dam removal resulted in a local chinook boom. Chinook, coho, and sockeye have returned to the Yakima for the first time in a century, thanks to the construction of new fish passage systems. Find out what’s going on near you, and get involved! Lend your voice in support, attend public meetings, or help boost their activities through social media. American Rivers is one of many PNW nonprofits that work in local communities to organize, restore, fundraise, and lobby for the health of our rivers and the wildlife who depend on them. Learn more about our work, and help us stretch it further in the future.